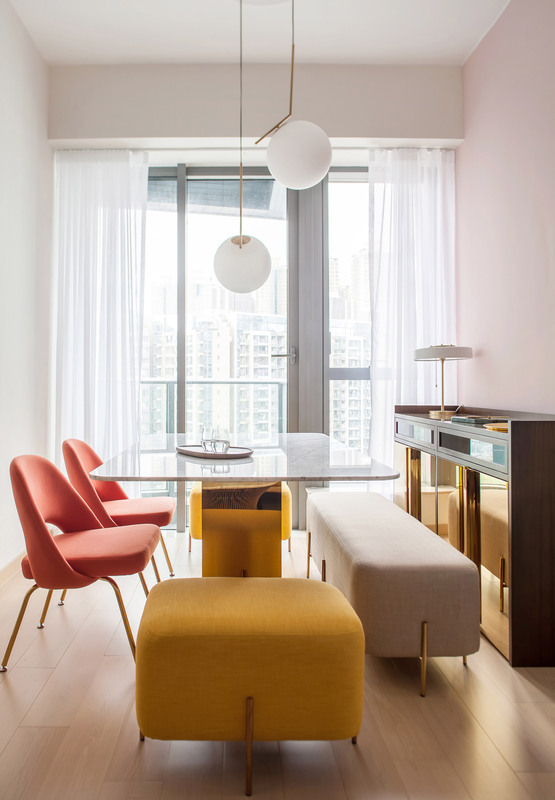 Yellow, turquoise, and coral-pink furnishings brighten this previously colourless apartment in Hong Kong, which has been overhauled by local studio Lim + Lu for a fashion designer. The Twin Peaks Residence is located within one of on Kowloon island’s many high-rise residential towers. Its owner, a Parisian fashion designer, approached Lim + Lu to redesign the apartment to better reflect his personality. “The flat was a typical small unit amongst dozens of similar towers in a newly developed area. The spaces were all the same as the developer put as many units as possible, which is a common practice in Hong Kong where space is often limited,” co-founder Elaine Lu told Dezeen. 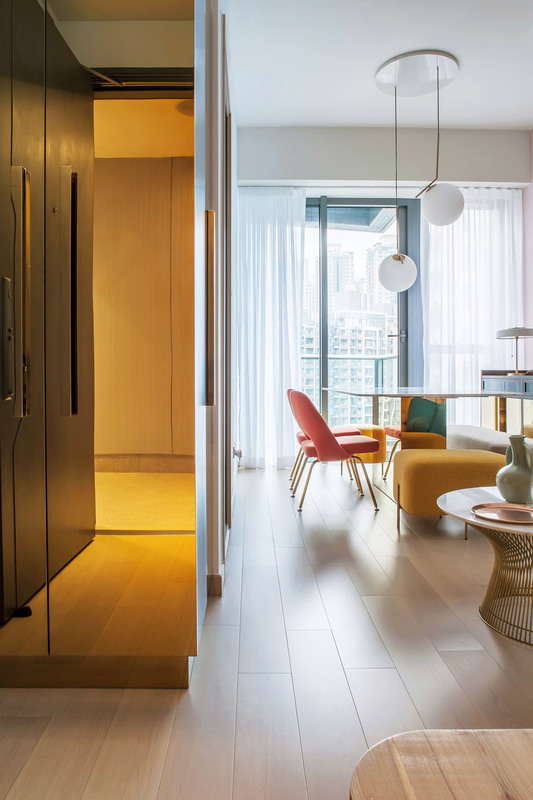 To work around the apartment’s limited floor area, which measures just 46 square metres, the practice decided to employ a bright colour scheme to make rooms appear larger. In the open-plan dining and living area soft pink walls have been paired with pale laminate flooring, which contrasts against warm yellow fabric sofas. 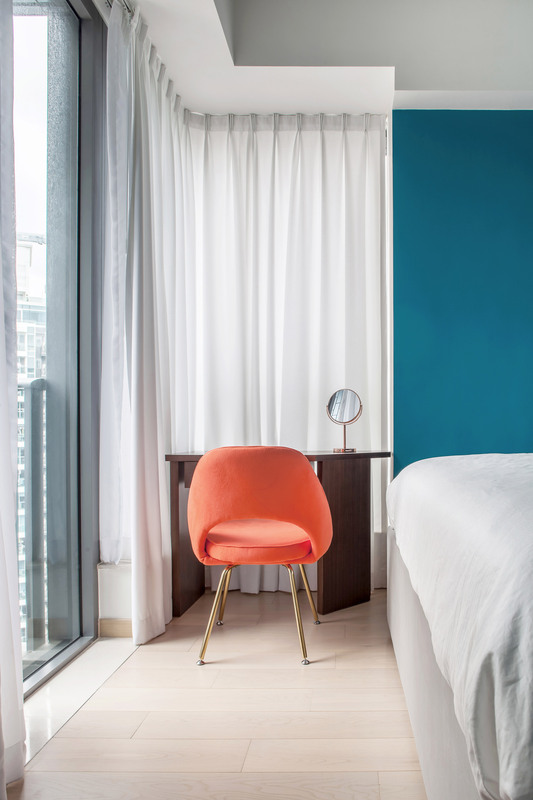 A turquoise corridor leads through to a teal-coloured bedroom that features a small vanity desk with a bold coral chair. Touches of neutrality are provided by the apartment’s sheer curtains, marble table counters, and spherical hanging lamps by the Italian brand Flos. 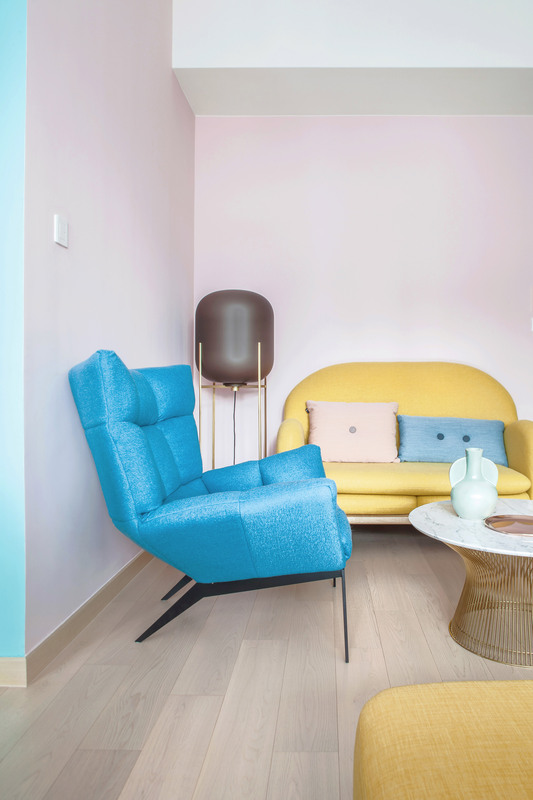 “The client wanted the apartment to be vibrant and full of life without being over the top, hence the choice of colours and materials were vital to achieve a delicate balance,” explained Lu. Where possible the architects also installed reflective cabinetry to enhance the apartment’s sense of depth and create a more diverse material palette. 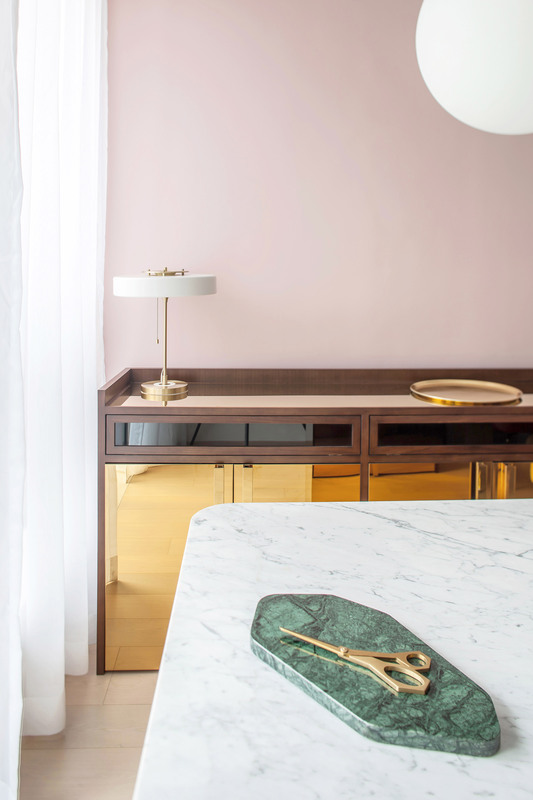 Lim + Lu has previously applied blocks of pink, jade green and patterned tiles to complete their own apartment in Hong Kong, which they wanted to double as a showroom. The design duo has also employed pastel tones to produce their Mass furniture collection. Photography is by Nirut Benjabanpot. The post Lim + Lu uses brightly coloured walls and furnishings for fashion designer’s Hong Kong home appeared first on Dezeen.